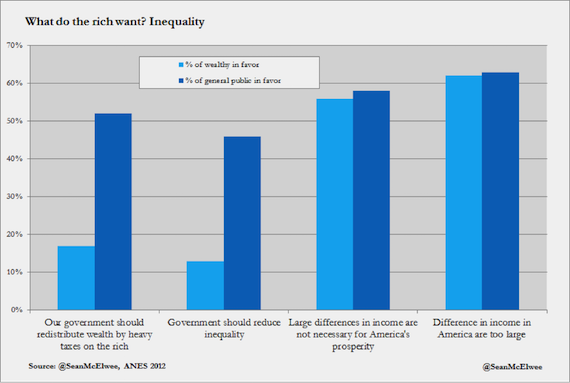 Donors are also more conservative than the general public. There are two ways to show this. 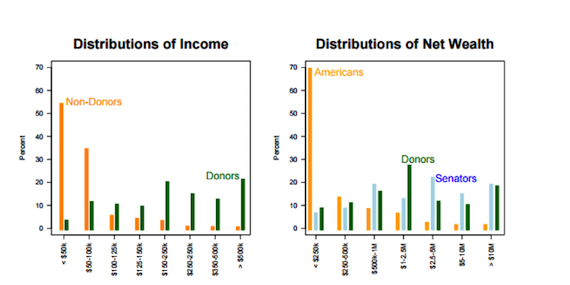 First, we can examine the preferences of the hyper-rich who make up the vast majority of donors. Benjamin Page, Larry Bartels and Jason Seawright interviewed some of these individuals, who make up the richest 1 percent of the population. Within their sample, 21 percent had helped bundle for candidates, and 68 percent had contributed money to candidates (an average of $4,633 over the 12 months before the survey). 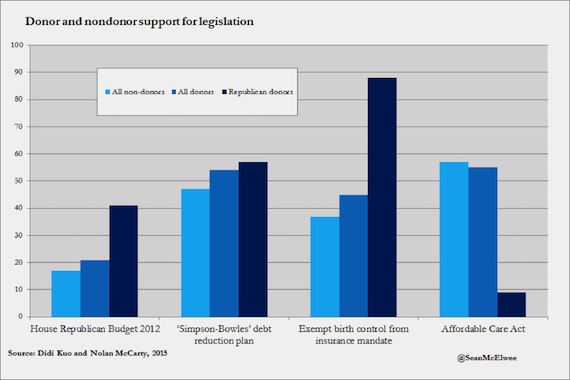 As the charts below show, these donors are more likely to oppose government ensuring that all Americans have healthcare coverage. 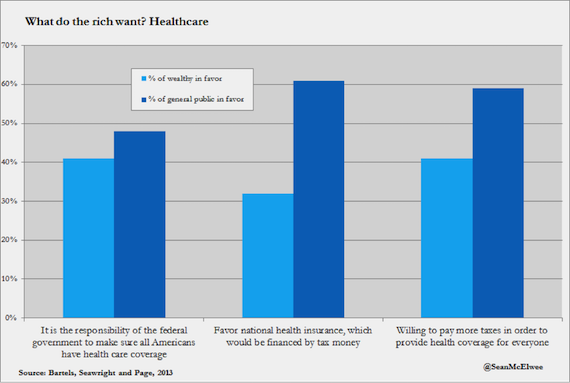 In addition, while majorities of the general public favor national health insurance and are willing to pay more in taxes to provide health coverage to everyone, majorities of the wealthy disagree.